I want peace on earth and goodwill toward men. This is a NationSim where players roleplay people from a particular country at a particular place and time. This game begins in Ezochi, the big northern island of Japan in 1877. Choose from any of the characters listed below, or create your own! Each turn lasts 3 months, making 4 turns a year. When the GM feels that action has come to a head, a special turn will take place that lasts two weeks in game time. Every turn, email ezorepublic.gm@gmail.com what your character would have attempted to do in those months - success is determined by a mixture of GM fiat and the roll of a die. The only limit is your creativity, and my patience. You can do nearly anything so long as it makes sense in the context of the game. History is not binding and player agency comes first. As for who you actually are, you assume the role of a personality and use their status and position to achieve your own goals. You should play whoever you’d like - if they’re not listed here, that’s fine - and if you can’t find a historical character that fits the niche you’re looking for feel free to make one up. Please be aware in this countrysim that we will be taking into account posts in the thread. This is to avoid the common problem in countrysims where moderator posts and player posts seem to exist in alternate universes. What you say will have an impact on turn results. The GMs do not have PMs so please email us only! May, 1869 - The hidebound remnants fled in battered and scattered vessels, dwarfed by the warships that protected them. Exiled from their ancestral lands, the scattered traditionalists found a vast but virgin island populated by some barbarous aboriginals and ruled by suspicious locals. The warriors quickly dispersed these locals who pledged loyalty to the renamed capital. Guided by foreign adventurers, they drafted laws for a new polity, its system of government ironically modeled after another young country on the other side of the world. Swiftly, the forces loyal to the usurperous new regime sailed to meet this breakaway force. And so on a dim morning, seven steamships met six, and six was the victor. The former Confederate ironclad, equipped with the latest weaponry the French freebooters could get their hands on, burned the ships of the so-called Imperial Japanese Navy, shattering any hopes for a quick reconquest of the north. And on that day, a new nation was truly born: the Republic of Ezo. January, 1877 - In eight years, the island has seen a level of hyperdevelopment matched only by the efforts down south. 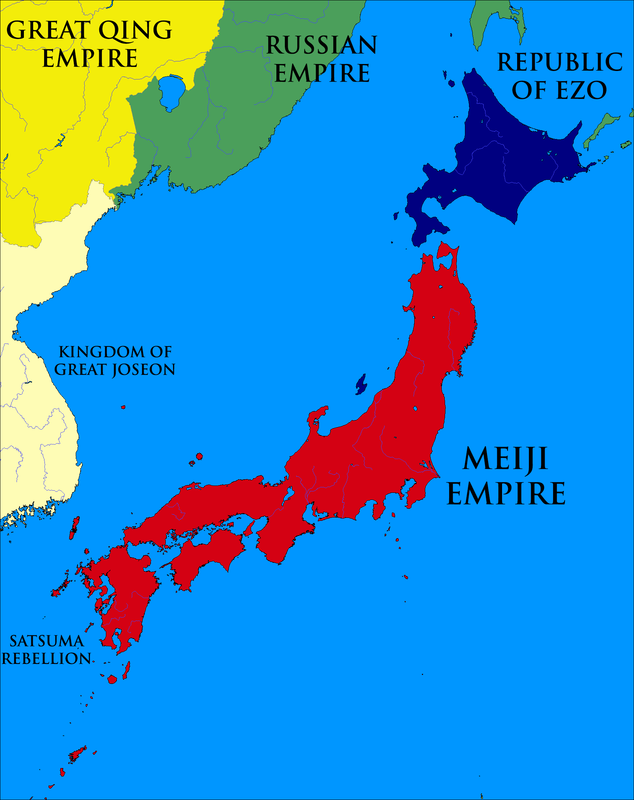 Bolstered by European and American trade and investment, the Republic of Ezo has managed to hold off against further incursion by Meiji Japan. The republic, a super deformed caricature of the United States that had once opened Nippon to the world, has remained stable so far with a franchise restricted only to the aristocratic lords that dominate the island. But even so, many samurai seek to return to the Home Isles, destroying the false advisors who have waylaid the emperor and returning the Tokugawa back to power. Still others go even further, agitating for the replacement of the Meiji Emperor with their own imperial pretender. Meanwhile, the prosperous merchant class seethe at the immense taxes levied upon them, democratic ideals and egalitarian gaijin faith spreading like wildfire among them. The former rulers of Ezochi bristle at dominance by “foreign” samurai, and even the Ainu grow restless. This year, the first president of the republic is scheduled to step down. As elections are prepared, the factions of this nascent country scramble to advance their own causes. Abroad, the forces of the Meiji continue to plot the subjugation of the rebellious north. An uncertain future looms for the home of the last samurai. Voting is exclusively the right of the Samurai class, who have male suffrage. The moderate samurai group, the Nationalist Party want to preserve the status quo, and is largely built around the adoration of President Enomoto. Many older samurai close to and in government belong to this faction, as well as newly elevated samurai and those who are more pessimistic about the chances for reconquest of Honshu. The largest faction in Congress, this group commands control of Ezo’s politics. Many doubt its viability without the leadership of President Enomoto. Who has recently passed away due to flagrant assassination. The Cherry Blossom Party represents those who actively seek to undermine the Meiji regime and restore the Shogunate under the Tokugawa. A significant portion supports the ascension of Emperor Enjuu. They staunchly urge for conflict against the Meiji. Largely older and more powerful pre-Ezo War Samurai, many hold romantic notions of retaking their former homeland. Most are emigres from the first exodus from Japan during the war, and they are disproportionately represented in the government and samurai elite. There is some popular support among the opportunistic new elite, including non-samurai, who might benefit from reconquest. With the merger between the Homeland and Chained-Country factions, there are nativist elements against foreign influence. Strong Shinto-Buddhist religious subfaction that urges the reformation of traditional Yamato beliefs and propagation into the new era against the spread of Christianity. The new merchant class, this group wants trade with the West, clear independence from Meiji Japan, and an abandonment of the imperial designs with Emperor Enjuu. This faction is also very pro-West, and its members are often disproportionately Christian (especially Protestant). 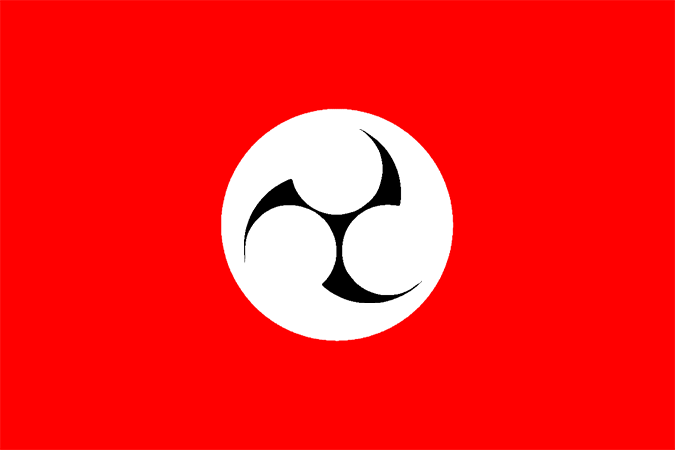 This faction is bitterly opposed to Homeland faction and Sakoku faction, and its members are generally resented by samurai. The faction has ties with the freedom party, though is considerably less radical in its demands. Minority party within Congress, with only a few seats. This faction represents the Christians of Ezo, and while claiming to represent all Christians, is predominantly Catholic in composition. The faction is very pro-West, and aligns itself with the homeland faction on some issues due to the repression of Christians in Meiji Japan, and the desire to spread Christianity throughout the Japanese Isles. Enjoys some representation in Congress, and some samurai are members of the faction, though most of its rank and file are peasants and laborers. 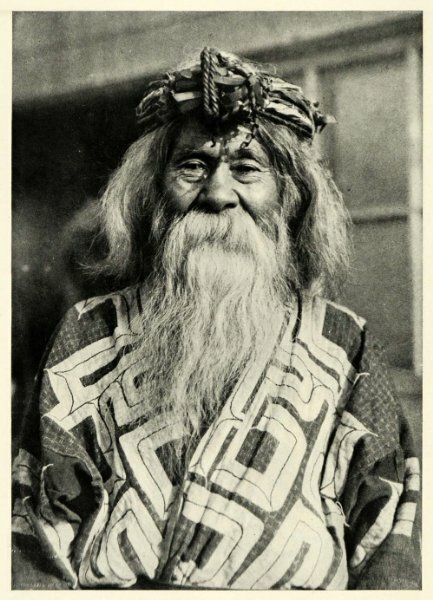 The Ainu faction represents the Ainu of Japan. The faction is extremely marginal but very angry about being pushed off land by japanese locals and exiles alike. It is small in number, but vocally opposed to the government and development. No representation in Congress. 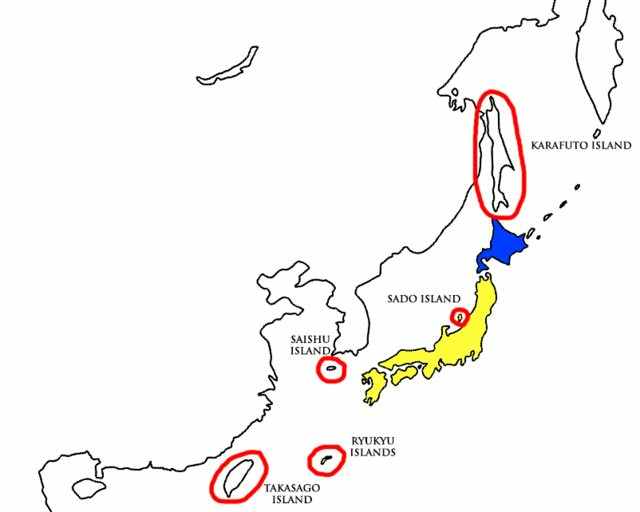 Some isolated rural areas are still predominantly Ainu, but these areas are few and far between. Setsuhaya, son of Tsukinoeaino (Bear Star Clan) - rejects his father's conciliatory approach towards the Japanese, still sees them as invaders to be gradually expelled. Democrats and radicals, representing mostly non-Ainu Ezochi natives, disenfranchised peasants, and the educated younger exiles, this faction want universal male suffrage and the abolition of special rights for samurai. Many are Christian, especially Protestant (as opposed to Catholic majority of Christians). Resented by samurai, they are free to operate but are discouraged from more radical behavior with minor repression. Popular among merchants and educated non-samurai elite (with considerable overlap with merchant faction). No representation in Congress. The Matsumae clan once claimed dominion over all of the civilized portions of Ezochi, and unlimited trade (as well as other, less savory) rights over the Ainu peoples of the uncivilized portions of the island. After the incursion by the samurai exile, the power of the clan has been almost completely stripped away, made subservient to the Ezo Republic. Only recently through a landmark Supreme Court case did they have their status as samurai restored. For their troubles, they were permitted to remain as a shadow of their former power- largely surviving through continued trade contacts with the Ainu and some agricultural development, its members barred from political office. Though numbering only in the few thousands, this deeply embittered group represents the local samurai whose power was displaced by the coming of the Tokugawa exiles, and deeply resent them, many harboring secret loyalties to the Meiji regime. No representation in Congress, though this may change now that Matsumae samurai may participate in politics. 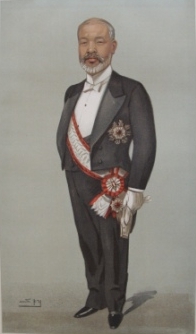 Russia - Karl von Struve - Karl von Struve is the representative of the Russian Empire in Ezo, and has thus far served to convey Russia’s favor toward Ezo. Russia in large part does this to head off any potential Franco-Japanese moves against its Far East possessions. Is of German birth, but Russian loyalty. The Tokugawa have seen better days, what with the fall of the Shogunate on the Home Isles, and the abdication and the subsequent execution of Tokugawa Yoshinobu at the hands of the clan’s hated enemies. The new shogun is but a child, but his evacuation to Ezochi is the stuff of legend and a rallying point to supporters of the Tokugawa and the ancien regime. Perhaps fittingly, the Republic of Ezo’s government is said to rule in the name of the Tokugawa house, as stewards to the stewards of the Emperor. Guardian of the child shogun, this former daimyo of Tsuyama now both safeguards the young lord and manages the affairs of the Tokugawa household. As regent, his powers are more symbolic than governmental, but he is also the virtual head of the exiled aristocrats, agitating always for the redemption of the Tokugawa as well as dispossessed samurai everywhere. A merchant trading company originally established by Jules Brunet, the Brunet Merchant Trading Company is now a large conglomerate largely run by local Japanese with the heavy cooperation of and investment from French merchants. Once the lords of the island, they are now a skeletal remnant of their former prominence. While briefly members of the Northern Alliance during the War of Independence, pro-Meiji forces took hold of the clan, leading to conflict with Enomoto's exiles, who quickly swept their opposition aside. During and after the war, both the clan and their vassals experienced hardship, forced to provide money and work conscripts in the service of the new Republic, while its clan members barred from office. Their main holding, Fukuyama Castle, has become a government office building, and the clan only narrowly escaped disbandment by pleading to the exiles that they would be useful due to their long experience with the Ainu. In many ways, through their focus on trade has made them more attuned to the ways of the chounin-ha, the clan adopting a mercantile nature for the sake of survival. Currently, the Matsumae have no political representation but do have some influence, as a symbol of opposition against the exiles who dominate Ezochi, and perhaps, of a day where the flag of the Empire of Japan would fly over the island. Adventurer, freebooter, and all-around carouser. Formerly proprietor of the Round Eye Saloon. Currently on the run and seeing visions. Dreamer, gaijin, destined to be the greatest samurai of all time?!? Born to a samurai clan, but not of the samurai status, Lady Fumiko was nonetheless trained in the arts and ways of the bushi. She bristles against the patriarchal ways of both Meiji and Ezo alike, as well as the paternalist ways of the socialist-democratic revolutionaries. Not fitting comfortably into any ideological-political camp, she keeps her ideals hidden, yet works for change. former shogun Tokugawa Kamenosuke [Player: cxcxxxxx] - Convicted of terrorism and kinslaying, currently at the hands of British authorities in Kowloon Walled City. Nagai Naoyuki (Finance Magistrate) (S) [Player: Stalin-Chan] - Driven out for pro-Meiji sentiments, retired to Europe as local celebrity. Arai Ikunosuke (Navy Magistrate) (S) [Player: Proposition Joe] - Found at sea, stark raving mad. Former head of the Sakoku-ha, visionary behind the Shinto-Buddhist Reformation, and the Secretary of Faith. Veteran of the first invasion of Sado, valiantly lost his leg in battle aside his bro and shogun, initial test subject in the nascent field of steam-augmentation. Died in a duel with Matsudaira Tarou. Final cause of death uncertain. Former Army Magistrate, died after an unsuccessful coup against President Enomoto. Death by dismemberment and (willful) starvation at the hands of the President. Body shaped to resemble a snake. First President and Founding Father of the Republic of Ezo, led the exiled Tokugawa retainers to Ezochi, presided over multiple coups and civil disturbances, cut down while recovering in a hospital by a coward. 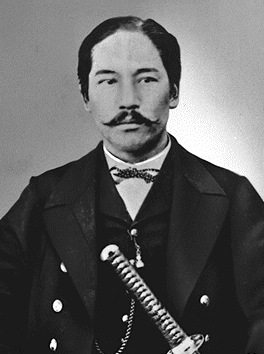 Itakura Katsukiyo (S) [Player: Namtab] - February 14, 1823 - May 19, 1878 (age 55) - former Education Magistrate in charge of the curricula in the few state-sponsored schools (all for samurai children, mostly funded through wealthy donors), and propaganda minister. Attempted to cut down the president in a hospital like a coward, killed by a Samurai Secret Serviceman. Come Tbilisi if you want to live. Currently, Christianity is growing, as is the non-agrarian portion of the population. Hakodate is a heavily fortified harbor replete with ground-based defenses. A series of intricate watchtowers, temporary forts, and trained militia companies dot Ezo’s coasts. The island of Ezo has been transformed into a veritable fortress of defensive preparedness, and any invasion will incur considerable costs. The constitution of the Ezo Republic is heavily modeled on the US constitution, only with a unicameral legislature (no senate). The Congress must approve all budgets (currently done quarterly, but this need not be so) by a majority (26 votes). The Congress can pass any law in line with the constitution. While the constitution of the Ezo Republic incorporates many of the freedoms found in the US constitution and elsewhere, in practice these rights and freedoms are applied semi-selectively to the Samurai class. Constitutionally, the congress enjoys vast power. The President may veto all bills, including budgets, and a ⅔ (33) supermajority of Congress is required to override this veto. The President is commander in chief of the armed forces. All cabinet appointments must be approved by a majority vote in Congress. In practice, the executive is quite powerful. Cabinet members have typically enjoyed a great degree of autonomy in pursuing their various duties, which are as yet ill-defined. The Vice President casts tie-breaking votes in the Congress. No term limit exists. The High Court of Japan is styled on the French Court of Cassation and the US Supreme Court. It is largely untested and its powers are fairly vague, but it theoretically rules on constitutional disputes and issues. More regularly, it acts as the highest court of appeals. It has a high judge and 4 additional judges, who make decisions by majority. Justices are appointed by the President and approved by a majority of Congress. They serve for life or until resignation. The Emperor does not rule in any legal sense, but is among many the symbolic head of the exiled government. Elections are held for President every four years, and congress every two years (every odd numbered year). Elections are always held in May (Q2). Candidates must register for their candidacy by March preceding the election (Q1). The President and Vice President run on a combined ticket, and must register together. The President, VP, and his cabinet are inaugurated in July (Q3) immediately following the election. In the event of the death of a Vice President, the President may appoint a new VP, pending majority approval of Congress. The next Congressional election is Q2 1879. The next Presidential election is Q2 1881. Articles of impeachment are brought about by a 2/3 vote of congress, after which a trial will be conducted by the High Court of Japan. The High Judge will preside over the case. The President will only be impeached in the event of "serious criminal wrongdoing". The High Court will then vote, with 4 judges voting guilty necessary to remove the President from office. The rules of succession then apply. Constitutional Amendments require 3/4 majority to pass. This is not an exclusive list of spending areas: anything can be created. This includes, but is not limited to, industrial subsidies, agricultural subsidies, education, payments to other segments of society, government projects, etc. At this time, the role of government is fairly minimal, but need not be so. Turns will (typically) be due Sundays at 11:59PM (CST, UTC -6). They must be emailed to: ezorepublic.gm@gmail.com. We will let you know if they're due a different time than usual. Turns will outline your character's plans for the turn, which last 3 months at a time. You have four (4) “action points” per turn. You can spend your action points to give effort or emphasis to your actions. There’s no limit to the length of your turns, but we will feel free to ignore any and all orders after a page or so, especially if no action points were spent on them. Any actions with accompanying action points will receive full attention and have a greater chance to succeed, with more points increasing the probability of success. Writing stories or providing flavor in the thread, as well as random events or other things that occur during turns, can add or subtract from available action points. You may pool AP with other players on collective actions. I’m generous with the definition of “action” but don’t push it. These positions may change if the relative power and prestige of the positions is changed by the in game actions of players. Right now these reflect the primacy of the presidency, but the nation and its constitution are young, so who knows what will happen? Positions of power may also be created by the President/Congress, but be warned, action points will only accompany real investment of authority. Player death: Players can die, and probably will, if goons are involved. If your character dies, you will be removed from the game, and cannot rejoin for one turn. After one turn, you can rejoin as any character, though no personal vendettas will be allowed. It is entirely up to to the GM’s if we wish to permanently ban you from the game, block your new choice, or take other action to prevent you from having any sort of bias or vendetta against another RL player based on their in-game actions. That said, the GM’s reserve the right to ignore or block any actions that are patently unrealistic for the time period. Bills: Every samurai may submit one bill/turn. Non-samurai in the cabinet may also do so. Budgets are a special case, and only the President/Finance minister may present a budget. 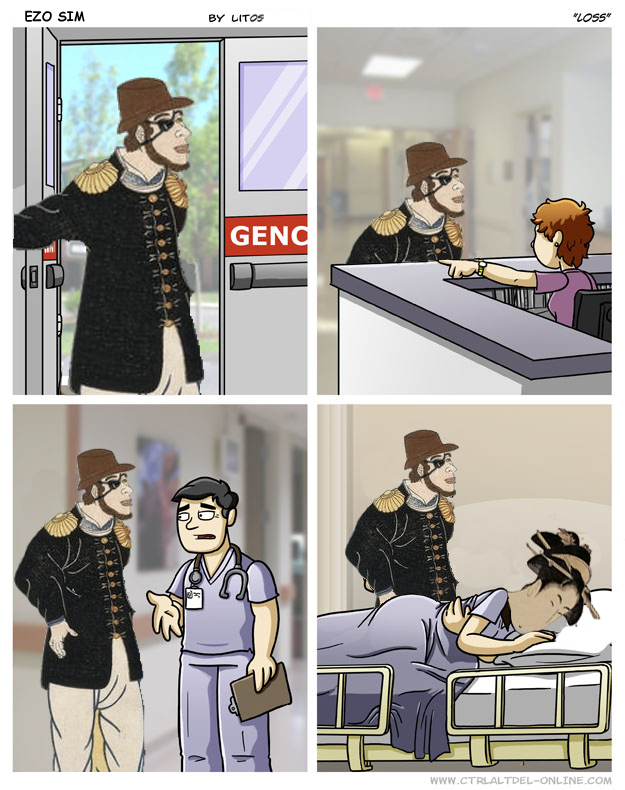 Assume that anything that happened to historical figures until 1869 occurred as IRL. 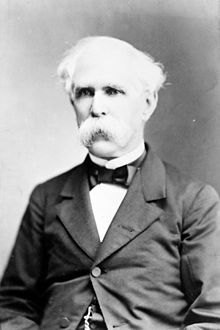 After 1869, within reason, you are free to create a character or modify a character’s history and biography so long as it does not contradict anything that happened in the official timeline. Turns will be 3 months long, structured as follows: Q1 (Jan-March), Q2 (April-June), Q3 (July-Sept), and Q4 (Oct-Dec). This is just so I know what is and isn't a bill. They'll be voted on in the turn update. January, 1869: The Ezo Republic is proclaimed in Hakodate by Enomoto Takeaki, with remnants of the former Shogunal fleet and disaffected samurai and shogunate loyalists. Along with most of the navy, the rebellious shogunal supporters also bring with them vast sums of the former shogunate’s wealth. The rebellion enjoys the support of France, represented by Jules Brunet. February, 1869: The Ironclad Ship USS Stonewall is sent to Sendai as per a previous agreement of purchase by the Imperial government, and the US flag is raised over the vessel, as the US government seeks to maintain neutrality in the Boshin conflict. Imperial forces have yet to pay the full price of the ship, but they protest nonetheless, and demand immediate transfer of the ship. American naval leaders waffle, and due to the diplomatic maneuvering of Jules Brunet, France purchases the USS Stonewall from America, removing American responsibility for the ship. The ship was originally constructed by France, who in turn sells the the ship to the Franco-Japanese forces gathering in Hakodate, bolstering the Ezo Republic’s naval forces. The fact that this deal included some rather exorbitant loans (with rather high interest rates) is of little concern to the desperate Republican government. April, 1869: Imperial forces consolidate control over the mainland, and prepare their naval forces for the invasion of Ezo, the last holdout of Shogunate forces. Shogunate forces in Northern Honshu flee to Ezo. May, 1869: A more aggressive shogunate navy is sent to pressure imperial forces near Sendai. The battle of Miyako Bay takes place near Sendai, and ends with Imperial forces suffering some losses but driving the Shogunate’s forces from threatening the mainland. The Imperial forces, emboldened by their victory, move towards Hakodate to end the rebellion once and for all. Under the combined command of Enomoto Takeaki and Jules Brunet, the Franco-Japanese fleet decisively defeats the Imperial navy, crushing any hope for the landing of ground forces in the immediate future. The anniversary of the battle, May 19, 1869, is celebrated as a national holiday. June, 1869: Having proven their viability, the French and British increase their support of the Ezo Republic, and officially recognize the government as the legitimate government of Japan. The Meiji government is incensed, but with its navy crippled and few foreign nations willing to sell any naval armaments, the imperial government continues to pursue a desperate military solution. September, 1869: A final attempt is made to invade the Ezo Republic by Imperial forces. With France now entirely behind the small republic, and European powers increasingly angry with anti-foreigner incidents and resentment in Meiji controlled territory, the Imperial forces are horrendously outmatched. Imperial forces attempt to force a landing, enjoying vast superiority on the ground, but Franco-Ezo naval forces manage to impede the landing to such a degree that only a small contingent of Imperial forces reach land. Without supplies, and with Ezo having had months to fortify and receive generous French foreign aid, Imperial forces are gradually whittled down to surrender. Purely apocryphally, witnesses at the time describe a storm that hampered the deployment of Meiji ground forces, buying the Franco-Ezo navy time to destroy their naval escorts. This is heralded as the “Third Divine Wind”. No historical evidence exists to corroborate this story. The battle of Tsugaru marks the last military action of the Ezo War. January, 1870: With its navy in tatters, and the Ezo Republic growing in strength under French protection, the Meiji government abandons attempts to militarily secure the island. It instead switches to a campaign of propaganda against Ezo, and diplomatically opposes its recognition. All travel to and trade with to the Republic is forbidden, and all associated with the Republic see their lands seized and titles invalidated, as the Meiji government pursues its historical feudal reforms. 1870: With the Meiji government pursuing a more aggressive anti-samurai and anti-feudal campaign, many illegally make the voyage to Ezo to escape repression. These migrants are aided by elements of the shinsengumi and European merchants, who smuggle the individuals on their ships to bolster the Republic’s small population base. The Republic also opens itself to Christianity at the behest of its French benefactors, and many Christians in Kyushu and Southern Japan migrate to the Republic to escape religious persecution. The Ezo Republic has still not declared independence - while there are some pressures to do so, it maintains itself as the “legitimate” government of Japan. President Enomoto Takeaki steadfastly adheres to this philosophy, and turns the focus of his presidency toward developing Ezo into a “fortress of traditional Japanese values.” Somewhat contradicting these intentions, significant reforms are pushed through Congress, streamlining the government and establishing positions more in line with Western standards. Prince Kitashirakawa Yoshihisa is elevated to position of Emperor by the Ezo Republic’s government as a concession to Northern Honshu loyalists and more extreme future Homeland-faction samurai within the Republic. President Enomoto maintains his authority, and the rival claimant Emperor Enjuu (延寿) does not rule in any legal sense. The nation remains a Republic. 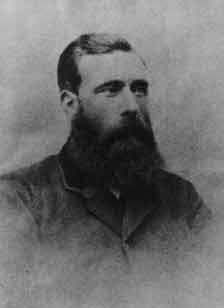 1871: Horace Capron, an American who had arrived in Ezo in 1870, is hired by the Japanese government as a technical advisor in order to modernize the economy and provide an economic base for the otherwise undeveloped and rather barren island Republic. His efforts bear fruit over the coming 5 years, and combined with European trade and investment, Ezo sees rapid economic growth. This further encourages economic migrants from Imperial Japan, providing vital manpower for Ezo. The economic growth also helps offset the heavy burden of the salaries to Samurai and other feudal era-elite, as Ezo’s bureaucracy becomes burdensome due to its maintenance of pre-Meiji titles. Most of these samurai are set to work in the development of the country, much to their chagrin, or to the growing armed forces. These modernizing moves see the first resistance to the Ezo Republic by the locals of the island(s). Those original Japanese inhabitants, alongside the Ainu inhabitants, revolted against the Ezo Republic and are summarily crushed. Periodic resistance by locals against the “invading southerners” continues intermittently. France suffers its defeat at the hands of Prussia, and Germany is formed. This largely does not affect France’s support of Ezo, as its naval forces were not vital to its combat against Prussia, but it does endear the Meiji government to the new German government. Germany finds an ally in Meiji Japan, and Germany sends technical advisors to bolster Meiji Japan’s army and navy. 1872: Russia recognizes the Ezo Republic, hoping to earn France’s favor and prevent the Franco-Ezo naval forces, some of the most powerful in the pacific, from making any moves against Russia’s far east possessions. Meiji protests, and many within the Meiji government note Russia’s intransience. 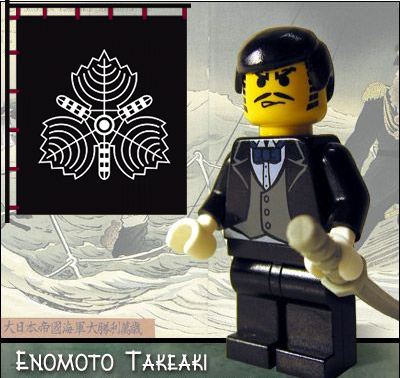 1873: President Enomoto is handily re-elected as president of the Republic in a vote by the Samurai class. Representing the first balloted elections in Japanese history, the election is organized across the republic, with proof of samurai class membership (in the form of an official government seal) the only requirement for voting. Enomoto runs unopposed, but is constitutionally barred from any further terms. 1874:Germany sends foreign advisors to Meiji Japan, and the Meiji government commissions the construction of two armored frigates and an assortment of lighter naval ships. This alarms the Ezo Republic, but most importantly, it alarms the British government, who is increasingly wary of Imperial Germany’s designs. Britain increases its investment in the industry of the Republic, and any lingering distrust due to British support of the Imperial faction in the Ezo War is mostly forgotten. The ordered warships are not to be completed for at least four years (1878), but would greatly upset the naval balance of power in the Far East. 1875: The United States of America opens the first American Missionary School in Hakodate, and American and European missionaries flock to the Republic in their efforts to convert the populace to Christianity. While Catholicism is most popular due to Kyushu migrants and French missionary work, protestantism is increasingly popular among the new converts and merchant classes. A number of notable catholic converts achieve positions of power in the Republic’s government, and religious refugees continue to trickle in due to anti-Christian, anti-foreigner sentiment in Meiji. The rise of Christianity, and the growing importance of American trade, influence America further toward Ezo relative to Meiji Japan. Yet, America still maintains trade ties with Meiji, and American merchant vessels are often the only source of trade (and smuggling) between the two rival states. The rise of Christianity begins to inflame some tensions within the Republic, with many traditional samurai viewing the religion with suspicion, and its converts as traitors to the traditionalist cause. 1875 sees the formation of two important factions within Republican politics - the Homeland Faction and the Sakoku faction. The Sakoku faction periodically organizes violence against Christian converts in an attempt to limit foreign influences. President Enomoto largely pursues a policy of toleration and non-intervention, though his son Masayoshi notably marries a Japanese Christian woman. 1876: Merchants and non-Samurai petition President Enomoto to expand their role in government, protesting the exclusive suffrage that is extended only to official samurai. Many protesters note that some prominent merchants have effectively purchased samurai status from corrupt government officials, married into samurai families, or simply produced forged samurai credentials for purposes of enjoying the benefits of the status. Angry samurai, fearing yet another reversal of their status, chase the protesters with their weapons and beat and kill 12 protesters. President Enomoto addresses the crowd in Hakodote, and through his intervention, manages to disperse the crowd and call off the violent samurai counter-protesters. As a concession to the protesters, samurai and non-samurai are granted equal rights under the law in terms of justice, but voting is still restricted exclusively to the samurai class, and the special pensions given to samurai are maintained. This satisfies some protesters, but spurs the launch of rival non-samurai factions. 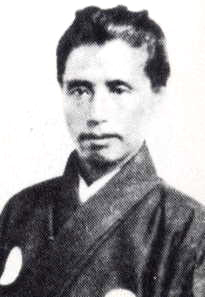 Katsu Kaishu, the descendant of a minor samurai family and a merchant representing Sapporo in Congress who openly exposed corruption in the sale of samurai status to non samurai, leaves the Republican faction and founds the “Merchant Faction,” representing the interests of the new monied classes. The violent protests and deaths are remembered as the August 9th incident, and spur the creation of the Freedom Party. The party operates underground from its base in Sapporo, with periodic harassment by the authorities seeking to limit its influence. Come election time in 1877, the party announces its own “true” election to take place in Sapporo for the second Sapporo seat, currently held by a member of the Sakoku faction, with the franchise expanded to all male citizens. The authorities explicitly forbid any such mock election, and threaten the party leaders with imprisonment should they follow through. January (Q1), 1877: The election for second President of the Republic is months away (May), as President Enomoto is constitutionally forbidden from running for re-election. Among many members of his Republican Faction, there is a desire to amend the constitution so as to abolish term limits. This may be easier said than done, and would require the cooperation of the homeland faction in order to succeed. Enomoto has thus far not taken a firm position on this issue, and has sometimes hinted at a desire to retire from politics, or at least, acceptance of a smaller role. Enomoto’s consensus based politics has somewhat soured his relationship with some in the Republic, who equate his compromise and moderation with indecisiveness and standpatting. The other parties in Congress are opposed to the amendment to abolish term limits to various degrees, though few openly question the merits of Enomoto’s leadership. Should enomoto choose to resign, a relative free for all exists for his successor. His Republican faction enjoys the most support as the moderate faction in the Republic, but is largely centered around his personality, and many question its viability should he retire from politics altogether. The official flag of Ezo. I will claim the following character: Arai Ikunosuke. Yeah, the guy wearing the $4,000 suit is holding the elevator for the guy who doesn't make that in four months. Come on. I might remind the members of the Congress, and the executive, that it is their job to produce a budget for Quarter 2 of the year 1877. A budget plan (or more than one budget plan) must be presented to Congress and voted on by the end of the Quarter in order to keep the government funded. Anyone may propose a budget, and if more than one budget is ultimately presented, it is recommended that party leaders and congressmen place in their orders their voting intentions and preferences. A majority is required for passage, unless the President deems it necessary to veto a budget, in which case a 2/3 supermajority will be required. The last budget which is passed will be considered the final budget in the event that multiple are passed (the speaker of the house has the power of scheduling votes). This will be done quarterly, though budgets need not be so, and Congress may enact a budget that spans more than one quarter if it sees fit to do so. Any such budget may be updated quarterly as per Congress' desires. The Presidential election of 1877 will take place in May (Q2, or next turn). President Enomoto is constitutionally forbidden to run for another term. All who wish to run must state their intentions and officially register to run in the elections by the end of Q1 (so this turn), and candidates will be approved automatically if they meet the qualification of official membership in the samurai class. A Vice Presidential running mate must also be picked and registered by this time. The candidates will then have one turn to outline their electoral strategies and jockey for support, and the election will be resolved in Q2's update. The new President is inaugurated in July, or at the very beginning of Q3 (the following turn after election). All of the rules listed in this post are outlined in the constitution, and can only be changed by constitutional amendment. You guys should really post about this in this thread. Done. We'll probably whip the usual sim folks later today, and see if we can't fill in some more essential spots. "The basis of the Juche Idea is that man is the master of all things and the decisive factor in everything." In as Chief Justice Takenaka Shigekata. Gentlemen, I will be your John Marshall. Oh, the lads! You should've seen 'em running! WALKING DOWN THE MANNY ROAD, TO SEE THE BURNDEN ACES! I'd like in on this as Hayashi Tadasu. 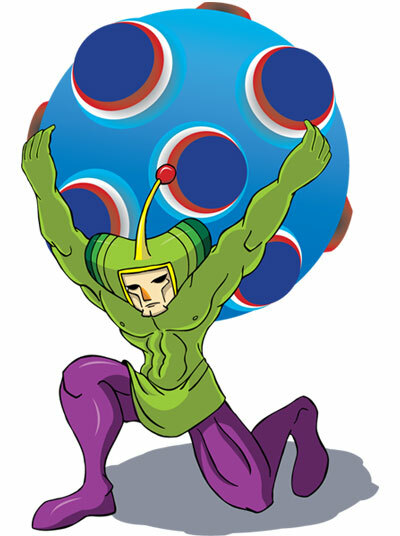 It's me, i'm Matsudaira Katamori (aka katamari-chan). gently caress 3d loving gaijin. I notice with great dismay that samurai and non-samurai have equal rights under law, presumably due to the influence of the filthy gaijin that infest our honourable nation like fleas on a dog. This means that there is a loophole in the law! What is to stop a non-samurai, an inferior person who has not mastered the way of the sword, from procuring a katana in some way and then calling himself a samurai, cheating himself into gaining the vote. 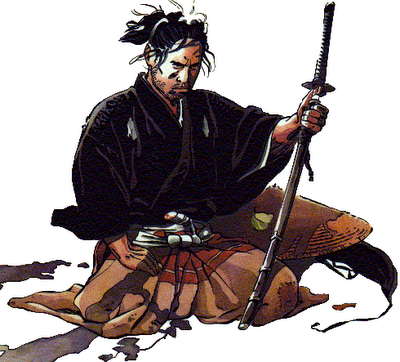 I propose that each state conduct a register, naming those who are samurai and those who are not samurai. Those who do not become samurai through legitimate means (honourable purchase of training, marriage into a noble samurai family, or miraculous defeat of a samurai in fair single combat) will be prohibited from owning katanas. If a non-samurai does become a samurai through legitimate means he should provide evidence of such to his daimyo, who will assess the evidence and add his name to the samurai register if it is legitimate. All samurai must possess a certificate of status bearing his daimyo's seal. In this way, we will defend samurai tradition and blow away any possibility of fraudulent votes. e: I acknowledge that this does nothing to assuage the samurai's fears of "corrupt samurai", but before we thoroughly examine the rules of what it means to be a samurai we must first find out who is and who isn't a samurai. As Foreign Magistrate, it is my prerogative to seek to expand and improve our relationship with foreign powers and allies, both new and current. Noting with alarm the increasing Germanic presence on our other islands, and understanding with regret the unfortunate setback our loyal French allies have suffered in Europe, I have approached the Russian Tsardom about the possibility of opening a diplomatic mission between our two nations. Hopefully our near neighbours, with their vast mineral wealth, can help to provide us with both military and material aid in the years to come. Have my old feet stumbled at graves! 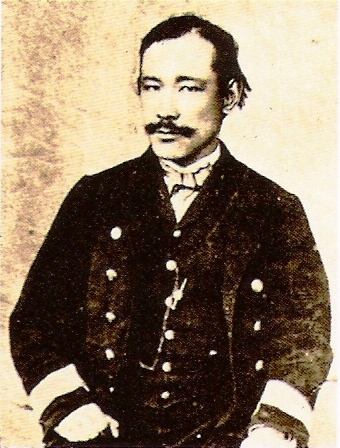 Bio: Kasuga Saemon was born in Nagasaki in 1850, to a somewhat well-off samurai administrator. Taught from a young age by the best tutors, both Jesuit and Japanese, Kasuga took in the literary traditions of two worlds, and his boyhood was filled with images of Aeneas and the Heike. With his ascension to young manhood, he took more readily to his martial practices, especially the nitenichi style of Miyamoto Musashi's disciples. He tried very hard to fit the mold of the poet-swordsman, and some of his compositions found some small appeal outside of his acquaintances. With the outset of the Boshin War, Kasuga readily joined the Shogunate forces, but the losses in the war and the retreat to Ezo shook him deeply. After some years of solitude in his home, he met and was baptized by Monsignor Osouf, Vicar Apostolic of Northern Japan. His conversion has brought new life to his pen, and it remains to be seen what he will do now. -Starting a Saloon in Ezo called "The Round Eye"
My brother has submitted a fine proposal. The Samurai Registration Act addresses two worrisome problems that strike at the heart of society as it is currently. First, that the actions of the greedy and opportunistic are weakening what it means to be a Samurai. They think that with their money that they can buy whatever they want. Sure, it can buy a lot of things, many of which do nothing but ruin one's life. 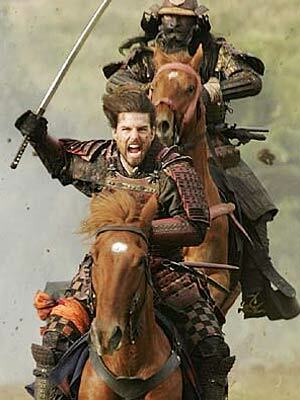 But no matter how much gold they have, the difference between us and them is that we are Samurai and they are not. We are warriors. We are noble. We have pure blood. We have things that cannot be bought with money. ...Or is this really so? These days, if you look hard enough, if you find a man whose heart is black enough, and your pockets are deep enough, you can step over this divide. With enough money, you can pretend that you are not descended from rats, and that it is not excrement that runs through your veins! You can even spit in the faces of all the great Samurai ancestors of Japan, and wash your behind with their tears! This is what you do when you sneak your way into the Samurai caste! And yet there are those shameless enough to do it! And this brings us to our second problem. These men, who seemingly know only deceit and cowardice, pretend to be warriors and rulers. They wear swords, they vote in our elections, they receive our stipends! It is bad enough that their lies bring shame upon themselves, but the very existence of these fake Samurai dilutes and dirties the Samurai class as a whole! Every day that they continue this deceit, they actively harm society as a whole! Let us put an end to their lies, and let us bring back our Samurai pride! Oh Holy Father Pius, Ninth of that name, whose office and authority as Pontifex Maximus is renowned throughout all the world as the height and summit of honor, service, and respect, I Kasuga Saemon, a lowly servant only lately come into the vineyard of the Lord as a laborer, do write this petition and supplication with only humility in my heart, presuming nothing and trusting only in the wisdom of the Holy Spirit who so breathes His Graces through you and all the Church. In recent years this land of Nippon, and this country of Ezochi especially, has seen the greatest exertions in the name of Christ. Taking to heart the example of faith shown by the saintly martyrs of Nagasaki, many Yamato and Ainu have set aside the darkness of heathenry, and accepted baptism in nomine Patris et Filii et Spiritus Sancti. It is because of this great success that I write to you, on no man's behalf but only on my own volition, to beseech Your Holiness to raise Your son Osouf to be the bishop of our land. He has become a father to us: he guides all his charges with a firm but merciful hand; ever ready to refute the lies of the heathens, he does not drive the unconverted away with unseemly pride, but welcomes whoever has a willing heart. I have seen believers and pagans alike speak of the virtues he possesses, and I have seen them myself. Under the guiding hand of Your Vicar Apostolic, Monsignor Osouf, charity has increased, the flame of faith has been set in the hearts of untold multitudes, and every day God is glorified in the prayers of religious and lay people. Thus I humbly beg Your Holiness to place, not Diokleia, but Ezochi as Your son's bishopric. Gentlemen, let us not dispute and militate against eachother in this time of impending national peril. As we speak, the Germans arm the Meiji to permit the continued conspiracy to undermine our great independent realm. I suggest the Defense of Nation Act, submitted humbly to the distinguished members of the legislature. This act would Set both the Army and Navy maintenance to four credits and order an expansion of both forces. We must strengthen our country and never surrender! You legislators have the lobes for raising funds, I am sure you will find a way to accommodate these most urgent provisions. Russia? Why spurn the long cherished relationship between Ezo and France to do business with a frostbitten monarch? The great nation of France stands ready to provide Ezo with the resources it needs to grow, whatever they may be. Raw materials, training advisors, and more! Furthermore, while I appreciate the role of tradition in Ezo society, to further restrict the franchise by decimating the ranks of the Samurai is conduct unbefitting a republic. I encourage the Senate to consider the full ramifications of their actions. I support the proposal made by Otori Keisuke. Bolstering our military should be our first priority. Though this may be the realm of the Finance Magistrate, do you propose to have these extra funds come from our free expenditure or should I approach our European friends for more credit? We will discuss this with the Finance Magistrate. Thank you for the suggestion. During times like these it can seem like the easy solution to simply ask for aid from France, however France has already helped us a great deal. Continued reliance on foreign economic aid is not viable for the long term. I believe at this time we should focus on updating our budget and taxes, and attempting to pay off our current debts to France. I shall be Igarashi Takehiko. Thus equipped by fortune, physique, and character, he was naturally indomitable, and subordinate to no one in the world. 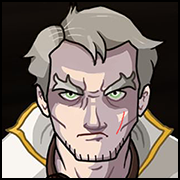 I will play as Thomas Blakiston. We need to take a strong stance against the importation of opium into Ezo. We have seen what opium has done to the lesser men in China and the situation it put China in. we must not allow that same fate to befall Japan. There must be strong consequences for its importation and possession, previously this was already illegal under the Tokugawa Shogunate; there is no reason to stop now. The Round Eye Saloon will offer free blow jobs, a $600 marker for gambling and/or drinking and 1 cent on the dollar of all proceeds made on the sale of opium to all members of the House of Representatives who vote against any proposal banning the sale, possession or importation of opium. 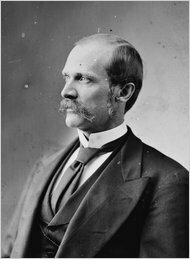 This bill will ban the sale, possession, import, and use of opium and restore opium prohibition laws to their Pre-Meiji standard. At the moment I see no reason to change the tax rates, My focus now is on repaying our debt and making sure our military is well funded. This budget is always open to adjustment if there are any complaints. I find this idea of delineating of what is and isn't a Samurai to be laughable. The Katana does not make a Samurai at all if you are quaking in your boots about someone not being a Samurai and has a katana, why don't you just challenge him to a drat duel? If he kills you, he earns his right to be called a Samurai since he obviously knows how to handle a katana better than some Samurai born by blood. There are so many matters to determine here, yet we must be cautious. Our independence is precarious at best. Though at the moment the French, British and Americans can be counted among our friends, this friendship is based on commercial relations moreso than cultural affinity or shared history. While I would not impugn Brunet-san's loyalties, the governments of far-off nations are fickle, and will see to their own benefit. If they find that commercial privileges with Japan are more profitable, we might soon see our support evaporate. This is the most real threat to our continued existence. Yet we must also ask ourselves, by what right have we seized this place and established this government? Is it purely for the benefit of the samurai? To grow fat from government support, slow to draw our swords and quick to palm a piece of gold? No, we must believe that our way of life is better not only for us, but for the nation as a whole. While we are profiting, our factories are expanding, our fields ripe with produce, some of us are not staring the truth that lies before us. We can not continue to exist on the charity of foreign nations, or we will never be able to count ourselves as a free power. The French are our truest friends, the British also wish our friendship, and we must never spurn them or take that for granted, but to rely on them completely is unacceptable. We must reconquer the home islands. We must not allow Japan to take deliverance of the four warships being built by the state of Germany. Our position as a naval power is the only thing maintaining our freedom. But how can a nation of 250,000 conquer a nation of more than 30 million? That is the task that has weighed heavily on my mind. We have supporters within Japan, yet the power of the government there is strong, and their peasant army has shown its mettle, I am certain I need not remind any here. I do not wish to overwhelm Congress with bills at this moment. I would prefer fewer bills that are detailed and enjoy popular support rather than small bills that will do little to advance the national interest. Any bill I find that does not serve some clear purpose with demonstrable benefits to the nation, I personally will ignore, though I can not speak for the rest of my allies in Congress. As such, I hereby declare that I will request from you, the members of congress, detailed plans for the following. I leave it up to the esteemed members of the samurai class to determine which of these plans best-serves our long-term interests in terms of an eventual, not immediate, reconquest of the home islands. 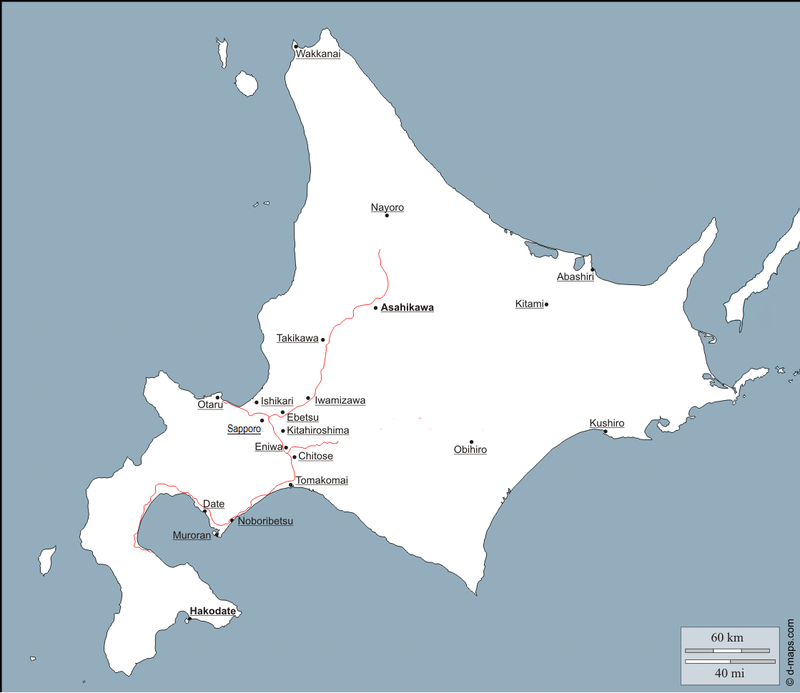 A. Karafuto Island (Sakhalin) - Rich in natural resources, few population, among them many Ainu who share a common language and culture with those here. Claimed by the Russian Empire. B. Sado Island - Small, with a low population, and close to our domains. Sado Island contains a productive gold mine which could help us to deal with our debt issue. As our ships will be purchased from foreign nations, having access to gold will allow us a strong navy, which allows further expansion. The people there are our kin. C. Saishu Island (Jeju/Cheju) - Small in size, but prosperous in terms of agriculture. Securing Saishu Island might allow us to cut off trade between Japan and the Chinese. Occupied by Koreans, they speak a foreign tongue and have strange manners. D. Ryukyu Islands - Somewhat prosperous, fishing villages, yet close enough to China to be a fine base for trade, as well as allowing us to surround Japan further. They are nearer to us than the Koreans but still a strange people, half-Chinese. E. Takasago Island (Taiwan) - A wild island, with a Chinese western plain and a barbarian eastern mountain region. It would require much of our strength to hold, but is potentially the richest prize of all. Discuss your plans as to which of these regions our navy and army should begin to conquer. Which best serves our purposes, which is our first target, for the samurai of Ezo will not sit idle while the usurpers grow in strength. Choose one target and explain why THAT is the best place to expend our strength. Remember that our strength is small. Yet by expanding our resources and population base, we can eventually seek to control the seas and wrest Shikoku and Kyushu from the criminals who seek to destroy our past. Then we shall see the odds more in our favor. Who among you has a superior plan for the maintenance of our position and the reconquest of Japan? Who among you has stood more firmly than I? Who among you is ready to declare yourself for the Presidency? I do not wish to be an emperor, and when the time comes I will lay down my sword, but we have only begun. If one among you believes in me and will present this bill for the removal of my term limit, I will not seek to influence the vote, and will abide by it according to the law, however I do not wish to be chained by the laws of foreign documents adopted in moments of crisis, and eight years have passed far too quickly. I will not present this bill myself, and if none believe in me enough to see this bill brought to Congress, I shall not introduce it myself. 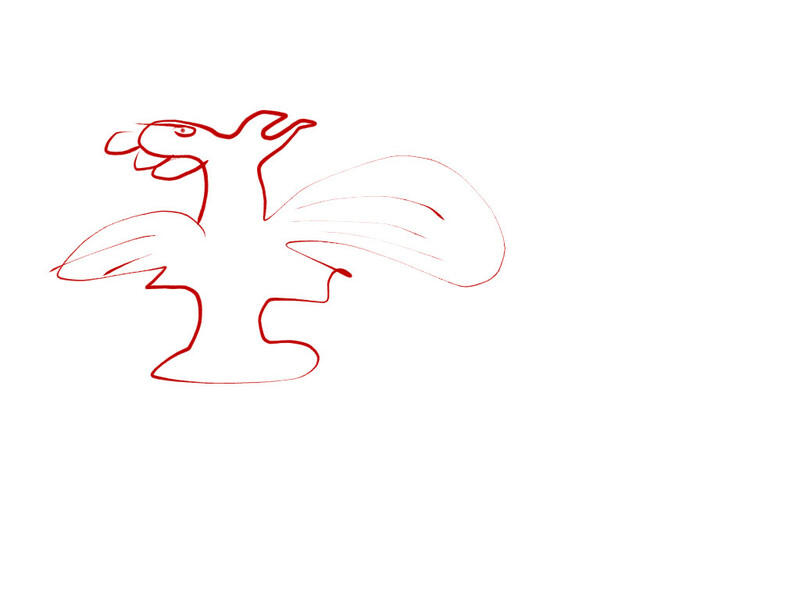 The French Empire, the British Empire, the United States of America. We must consider the implications of tying our hands with treaties. What can they offer to us? What do they want from us? Give me your opinions, devise your plans, we shall discuss them and vote. I do not wish to interfere with government business, but I must register my distress at hearing rumours of a possible resumption of hostilities with the Meiji government. The peace of the last eight years has been a boon to all of us who reside on this island, native, exile, and foreigner alike. 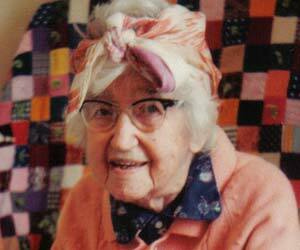 I dearly hope that the government will not throw it away in favour of an impossible dream. I feel it is not my place to oppine about this government's foreign affairs. I'm here to make sure this state is prosperous. If you manage to gain more land and resources, I will do my utmost to aid you to make the most of those. But I applaud the Eto's government dedication to making sure their government is economically independent. So let's talk economy. One of the great boons Hokkaido has is the rich farmland. One of the great problems is the lack of population. I firmly believe that it is many a man's dream to live a good, simple life of honest work, free to have the faith of their choosing. Even if they cannot own the land, not being Samurai, the promise of a life free of religious prosecution will attract many. So, here is a suggestion. 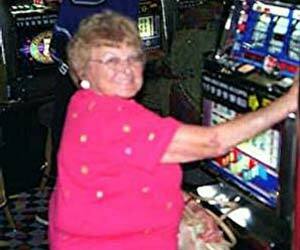 Some lands that aren't very profitable right now are made available for new immigrants. I will oversee the establishment of modern farms, providing wheat and rye. They will remain the property of Samurai of course, but new immigrants will be attracted to new lives, raising crops in the fertile Hokkaido grounds. Is this an idea to the government's liking?